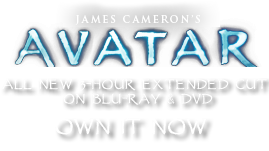 Alectophyllum molle | Pandorapedia: The Official Guide to Pandora | Own AVATAR on Blu-ray & DVD Now! Because of the covering of soft trichomes, or hairs, on the entire surface of the shoot, the roosterhead is used for nesting, hiding, and foraging for food by many species of small mammals, birds, reptiles, and insects. The folded leaves often house a variety of fauna, which use the plant for protection. The flowers that are enclosed by the leaves are pollinated by these animals, which eat the giant pollen grains but do not overeat in order to protect their home. Each folded leaf thus houses a small unique ecosystem inside. The large soft leaves are also used by the Na’vi to make clothing and coverings. Botanical Description Pandora’s largest herbaceous plant with long, narrow folded leaves enclosing giant flowers. Large stem produces a coil of leaves with a covering of soft hairs over all surfaces. Ecology Large linear leaves are used for nesting by many species of birds and small mammals. Ethnobotany Used for blankets, clothing, and sleeping bags.